Funeral for IRC Sheriff's Deputy Garry Chambliss. 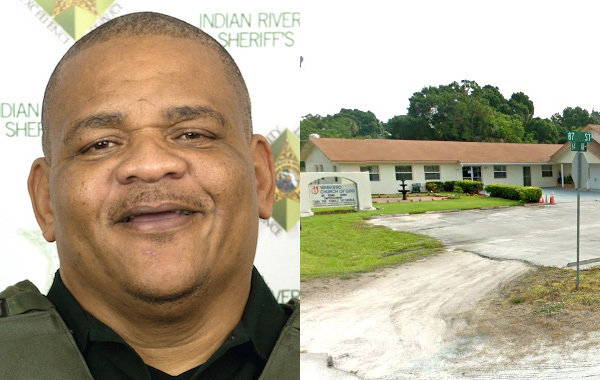 GIFFORD – A public viewing will be held at Wabasso Church of God on Friday, February 24th, 2017 for Indian River County Sheriff’s Deputy Garry Chambliss. The church is located at 8710 64th Avenue in Wabasso. The viewing will be from 5:00 P.M. to 7:00 P.M. Overflow parking for the viewing will be at Wabasso Park, 8900 64th Avenue, with continuous shuttle service provided by Go-Line. On Saturday, February 25th, 2017, Deputy Chambliss’ funeral will be held at Central Assembly of God, 6767 20th Street, Vero Beach, Florida, 32966. Ample parking will be available on site. Flowers and cards for the family of Deputy Chambliss continue to be received at the front lobby of the Indian River County Jail, 4055 41st Avenue, Vero Beach, Florida, 32960. Last Friday, IRC Sheriff’s Deputy Garry Chamliss died in Gifford from a gunshot wound. He was visiting a relative when he was caught in the crossfire between two gunmen. Later that night, one gunman was arrested near the scene after fleeing in a black Camero. Another gunman is still on the run.